Anna is accomplished in oils, watercolors and pen and ink. She is a native of Ste. Genevieve County and has studied art at Southeast Missouri University. Among her various talents, she has illustrated three books and designed pewter medallions of local historical buildings. 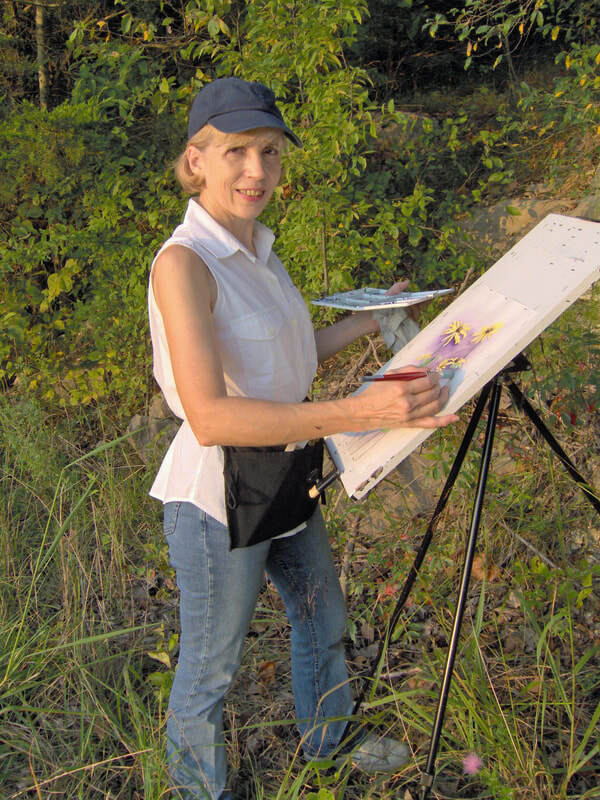 Over the years, her art has won numerous awards in juried shows. Anna became Art Guild Historian following the extensive research she conducted in support of both authoritative books on the Ste. Genevieve Art Colony. She is a past-president of the Art Guild, and was part of the creative team that put together the first Promenade des Arts in 2001. Her skills as exhibit curator continue to serve the Guild and the community. Anna's art is represented by Galleria Ste. Gen on Main Street.